This section explains the names and functions of parts that are related to the basic operations of the device. Opens/Closes when setting the paper roll. Push this lever to open the rear cover when setting the paper roll. 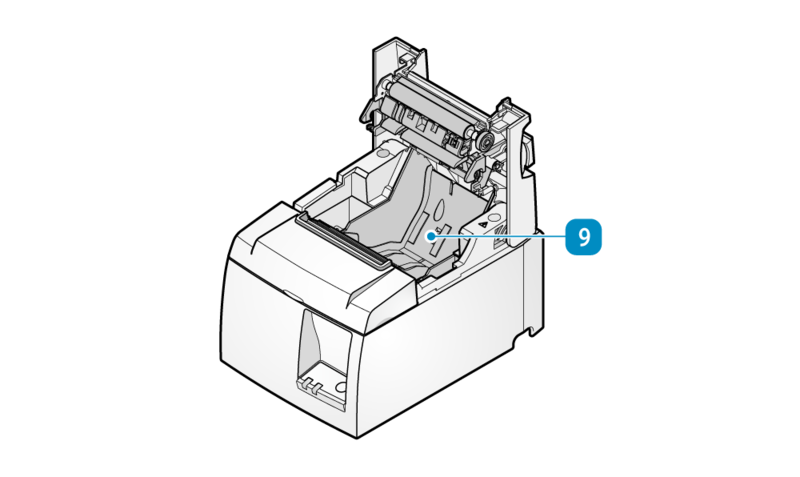 There is a lamp indicating the status of the printer and a switch to operate the printer. FEED button: Use this button when self-printing. Connects the power cable that comes with the main unit. 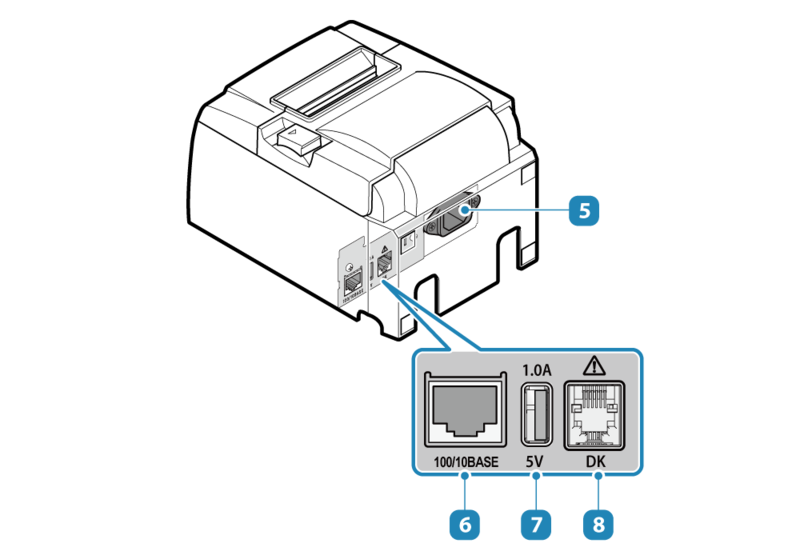 Connects the LAN cable that comes with the main unit. It is possible to provide power to USB devices such as a tablet. This is a drive circuit to operate the cash drawer and external buzzer (options) and such.